For a long time I relied on high resolution screens to show my work. It wasn't until I became more involved with the printing process of my photographs that I began to appreciate the quality of different types of paper. I was surprised to find a wide selection of press printing paper available for business cards. The choices can vary from rich watercolour to textured linen papers. Some can feel very pleasing to the touch allowing for a more tactile experience while others are all about colour. My personal preference was a high gloss paper which gave my images an extra sparkle. In Japanese society business cards are not something to be taken lightly when it comes to correct business etiquette. I discovered through my husband, who worked for a Japanese company in his past life, that business cards are quite indispensable in Japan. He described to me how the cards are handled. The way one presents and accepts a business card is just as important as how you treat the actual person who is receiving it. In Japan your business card is you! So don't fold it and make sure it remains visible on the table for the entire meeting. It's a sign of respect and good manners. I spent several hours designing my new business cards. I wanted them to look like an old photograph. 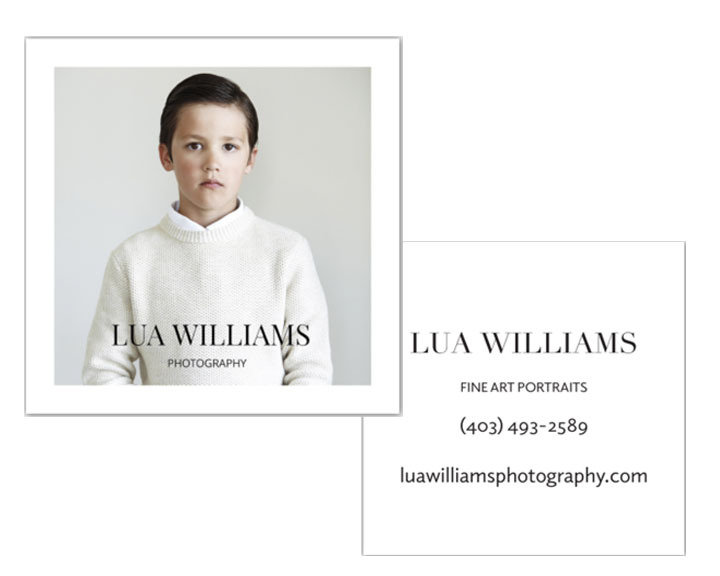 Square with a white border around it printed on glossy paper. The final result is below. I took this picture of my son years ago for an assignment while I was still in Photography school. At that time strobes and reflectors had little meaning to me. I love the simplicity of this picture. The way the light kisses his back and hand adding another dimension to the photo. Finding this image was a good reminder that natural light can be magical and sometimes that's all you need.